GraphicMaiJi Web Page (Freeware, Open-Source). Cyber Girl Image from Jose Javier. 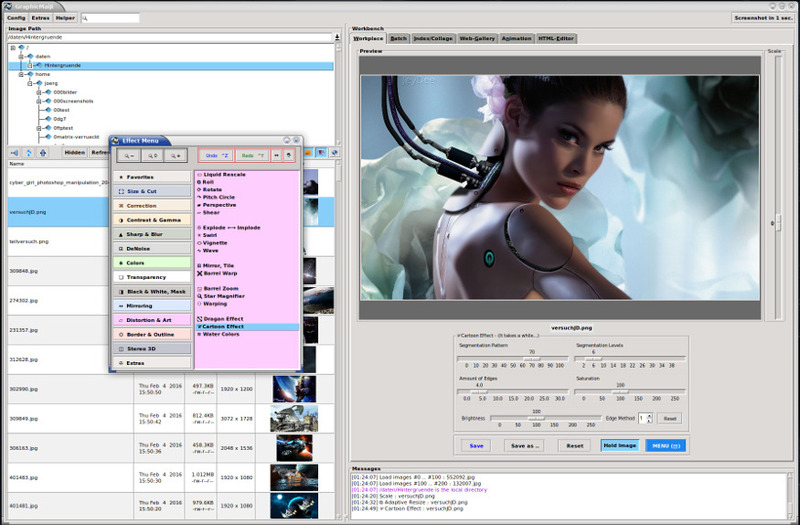 Image Processing, Image Animation, Image Batch Processing, Image Web Gallery Generator, HTML Editor, ... for the Linux Desktop. All image processing functions are using ImageMagick and/or FFmpeg. Simple and intuitive GUI. In image processing, see live what happens. Image Manipulator with 80+ manipulation possibilities for the image presentation, like correction, distortion, art effects. HTML Image Map, Collage with several Effects. 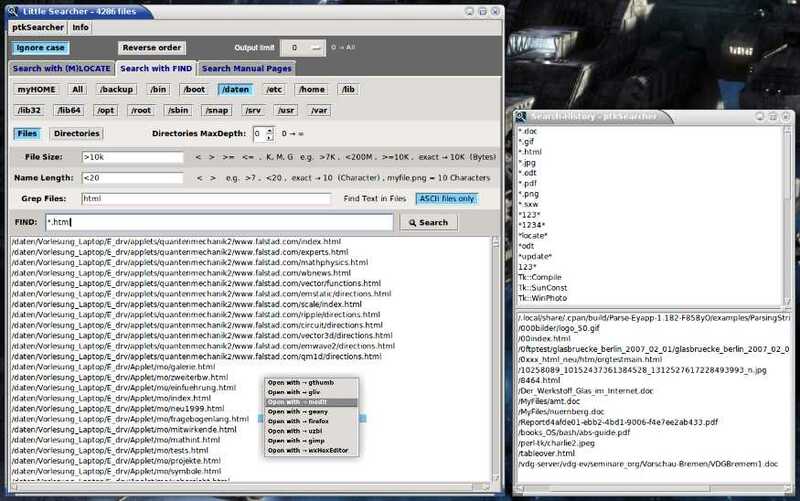 HTML Editor with HTML checking + cleaning. Video Screen Recording/Casting - Fullscreen, Screenarea. Convert Videos / animated Gif's / animated Webp's to images or images to video, video format converter. Convert animated Gif's / aPNG's / Webp's to video. Stereo 3d images, JPS, MPO, Anaglyph. Read and write *.jps, *.mpo files. Image to colored ASCII HTML Art. GraphicMaiJi Web Page (Freeware, Open-Source). ptkSearcher Web Page (Freeware, Open-Source). Search for files and directories in a Linux/Unix-like directory structure. search for strings in files, search manual pages. Opens the file found with the default application or with an application of your choice. Search History for the last 100 search strings and clicked files. pg3Browser Web Page (Freeware, Open-Source). A minimalistic Browser, especially for Web Developers and Previews. GPU Acceleration and WebGL switchable on/off. Back, Forward and History Buttons, URI Entry. History of the last 100 Links/URLs, saved on exit. URI Entry for global and local sites or files and Google Search.